Event Planner HTML5 Template is a professional adaptive HTML5 template with spectacular animation and beautiful bright design. By using it you can easily start providing your entertainment services with a fully functional website. The template contains all the key features that you may need to create a website. This template also includes Advanced UI Kit to make your website look more attractive and Extended Bootstrap Toolkit that offers nearly endless website customization possibilities. 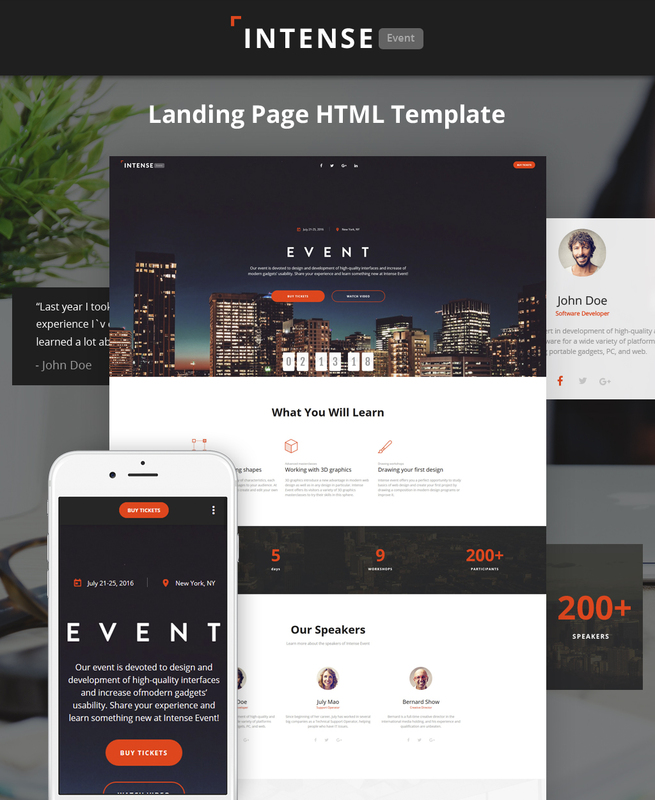 Event Planner is an excellent adaptive HTML5 template which is ideal for a landing page. Free premium quality images are also included. This will help you save money on photography for your new website.